PESHAWAR: Political administration of North Waziristan on Thursday imposed a ban on the entry of Pashtun Tahafuz Movement (PTM) leader Mohsin Dawar for a period of three months. 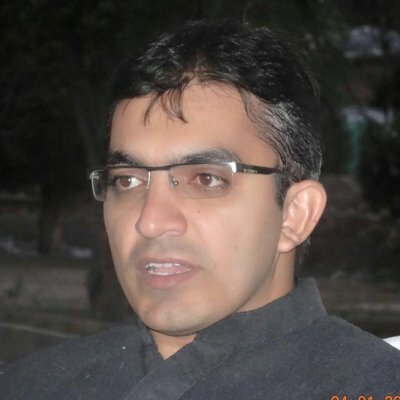 Mohsin Dawar, who was in his native home near Mirali, was apprehended by the security forces and was taken on an ‘official’ vehicle out of the region to Bannu. Upon his arrival in the jurisdiction of Bannu, southern city of Khyber Pakhtunkhwa, he was served with a notice pertaining to ban on his entry and presence in his native North Waziristan. Dawar says the security forces “still have his identification documents”. Talking to Pakistan Today, Dawar confirmed this development, saying he was banned from the Agency, however, he will move courts against this decision. When asked if this exile pertained to stop him from participating in the election, he said that could be so as after trying all others tactics, ‘they’ have resorted to this extreme action. Mohsin Dawar had reached in Mirali two days ago to file nomination papers for a National Assembly seat. He led a well-attended rally from Mirali to Miranshah on Wednesday when he went to collect nomination papers from Returning Officer. Upon arrival in Mirali, Dawar addressed the protesters who are holding a sit-in against targeted killings in the region since June 2. A large number of these protesters also accompanied Dawar in his rally to Returning Officer office at Miranshah. On culmination of the rally, the security forces used violence to quell the protest on Wednesday midnight. As a result of tear gas shells and baton charge, a number of protesters were injured whereas six were arrested. The injured PTM workers were under treatment in Mirali by the time of filing of this story. On Thursday morning, Dawar announced resuming of the sit-in from Thursday evening and called upon tribesmen as well as PTM workers to assemble. Soon after Mohsin Dawar’s announcement, the administration deployed heavy contingents of security forces in main Mirali chowk and later on decided the imposition of a ban on the entry and presence of Mohsin Dawar in North Waziristan for a period of three months. So far PTM chief Manzoor Pashteen has not yet made a reaction on the decision against Mohsin Dawar. But a PTM member informed that Manzoor is likely to announce a future line of action after consulting other senior members of the movement. Despite repeated attempts, political agent of the North Waziristan couldn’t be reached for a comment.